Is It Possible to Block Transactions on a Debit Card? 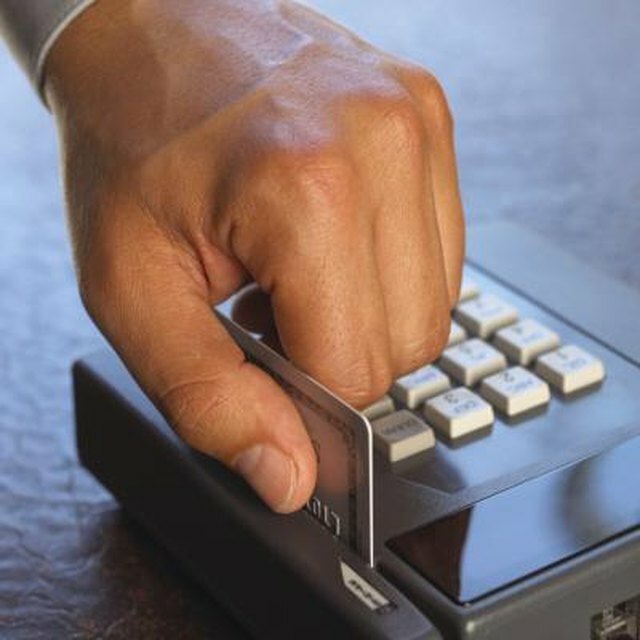 Why Do Credit Card Transactions Get Declined? If you suspect your debit card will be used fraudulently or if you cannot stop an automatic payment you have scheduled with a merchant, it is possible to block debit card transactions by contacting your bank. You can generally do this online, over the phone or by stopping by a bank branch. Many banks will allow you to either receive a new card in the event of fraud or temporarily block a card from being used if it's simply misplaced. It is possible to block debit card transactions. This can be done by visiting your local bank, using the bank's online portal or by calling the bank by phone. If you've recently canceled an automatic payment, such as a gym membership or magazine subscription, and you notify the bank verbally and then in writing within 14 days of the verbal notification, the bank can block the reoccurring transaction. You can also contest any debit transaction that you did not authorize, including transactions that you had authorized previously but later canceled. You should contact the bank as soon as possible after noticing any erroneous or fraudulent transaction to minimize your potential liability. Visa and MasterCard credit and debit cards offer a zero liability guarantee in the event of fraud, but they do require that you notify the bank as soon as possible after noticing the incorrect charge. If you have simply misplaced your debit card, you may be able to temporarily block it from use while you search for it. Contact your bank or visit its website to see if it offers such a plan and to make sure you don't have any fraudulent charges on your account. If your bank allows you to temporarily block a card, you can unblock it once it's found or contact the bank for a replacement if you determine it's permanently lost or stolen. What Happens If the ATM Takes My Card? If the bank suspects your debit card is being used fraudulently or if your account is overdrawn, the bank can block your transactions without warning. This often happens if your account is billed from an unusual locality, such as in another country, if you mistype your PIN a certain number of times or if you make a large purchase. To stop these blocks, simply call the bank to let its representatives know that you will be making the transaction. If the card has already been blocked, you'll normally be able to reverse the bank by calling to explain the circumstances or by visiting a branch. Many banks even provide a number to call collect if you are traveling abroad and have difficulty with your card or account. This number may be printed on the back of your card. If you're planning to travel abroad or are going to make an unusually large transaction, you can notify your bank ahead of time to minimize the chances of the card being blocked. Some banks allow you to do this online and many will allow you to call and tell a bank official about your travel or spending plans. Consumer Financial Protection Bureau: How do I stop automatic payments from my bank account?